What makes your arthritis better or painful? I take Natural supplements which help. I take "JOINT FX" from the peoples chemist which I get online sent to Australia from America. I take Bioceuticals SAMe that I get from my local health food store to name a couple of my supplements that I take specifically for my arthritis. I also wear orthotics in my shoes or Orthotic shoes without these I cannot walk. Without these things mentioned above my pain is worse to the point of not being able to walk at all. My RA is worst with stress and cold weather. Eating healthier seems to be making a difference. Working out is also helping. One thing that always helps me is rest. water aerobics sounds interesting....i bet it would be good for arthritis...so glad you are having such good results....maybe i can try it sometime. sometimes living in a rural area like i do can be difficult to be able to go some where...it is like 25 miles one way to go to a place. a friend and i have found out trying to walk every day helps with our arthritis....i have found out this week working on cement floors even standing on rubber mats made for a horses stall still is nasty on the knees with arthritis. these rubber mats are very thick and heavy to move. Water aerobics !! I can move, stretch and exercise far better and longer than any other way. I am now in a class 3 times a week. I meet like minded people, get plenty of support and my movement too. We make sure we stretch as well. It took a while (6+ months of steady classes) before I noticed that my pain level was down consistently. I still get stiff in the evening. Do to class I rarely take anything now. ps - also getting outside as much as possible, nap, get a massage once a month and try to eat healthy. Icing and then applying heat to the affected joints seems to help me. I also take Turmeric, ginger, cinnamon, and cloves daily since I'm allergic to most anti inflammatory drugs. Stress is the biggest trigger for me and sadly, my world is rife with stress. Thanks PANDABEAR42. I just got home from seeing my Fibromyalgia specialist. She agreed that paraffin would be useful. It could also help my dry skin from sjogrens Syndrome. It would help to seal in moisture. I also have RA & the beginning of carpel Tunnel. I guess the next step is checking out various makes & models, for price & what it can help me with. Thanks for the info. Much appreciated. 4Rascals...i had an employee...that her husband used the hot paraffin for his hands and she said it did help him. i think it is the warmness that does seem to help. i know when i have a very bad time of the aches from arthritis i try and climb into a tub of hot water and read so i can soak and that does seem to help. i also have carpal tunnel and what the dr. told me when i over work my hands and wrist from my seasonal work...in another month...when this weather brakes and the ground thaws and can start to dig seedlings i will be over working my wrists by counting to 25 and putting rubber bands on those seedlings and just the repetition work over works my wrist and my hands go numb....so what the dr. told me was use warm when i first get up to relax everything and then cold after over work. i have a clay wrap i keep in the freezer and when i feel my wrists aching i get the wrap out and put on my wrist for awhile and it does seem to help. i know this isn't what you asked, but i don't know if something like this would help or even if you tried to soak your hands in warm epsom salts water. i think the paraffin may even help to keep your hands from drying out by sealing in the moisture while on your hands. anything is worth a try. keep us up on what you decide to try and if it works for you. Just a quick ?? Has anyone tried paraffin bath for joint pain in the fingers?? I have joint pain all over, but since I recently broke my wrist the pain in my fingers is worse. Would like to know others opinion on this. Thanks for your input. I love having the excuse to light a fire. I just practically melt in front of it. I feel so good. yes, these cold temps are hard on joints and a body. i had so much clothing on today to do barn work that i was actually sweating. These cold temperatures definitely don't help. Gotta keep moving anyway before I literally freeze. missteping in the snow is hard on the joints. i can't sit too long with out getting stiff so i try to keep moving. Exercise even 10 minutes a day keeps me moving. I'm like the Tin Man, I freeze up if I stop too long. I take Glucosimine Chondroiton with MSM. It takes a month to start really helping and I didn't think it made much of a difference until I ran out for a few weeks. It works great for me. I have done Physical therapy for my knees with great success. I've also had injections (not cortisone) to lubricate my knee with success. I need knee replacement but really want to lose more weight before I get it done. Do your best to keep moving. The cortisone shot were not recommended for me. My doctor said they could make my problem worse in the long run. I did have the Hyaluronan Injections that mimic cartilage shot under my knee and that worked beautifully. i have never had any cortisone shots or even physical therapy.....i just try to keep moving everyday, if i don't i get stiff. i will get stiff if i stand on cement floors to long...even when shopping. even the weather we are having right now causes me pain, the fluctuation of temps is very hard on my joints. we have temps for the last few days close to the 40's and now we will be going cold, onto single digits or below for evening temps and in the 20's for day time temps i do know when i did some walking last spring helped me, but being on level ground would be better. i do have a few friends who had cortisone shots and they worked for awhile then their body got used to them and needed it sooner and dr. didn't recommend giving them the shots sooner than scheduled. i also have a friend, that her daughter had knee replacement, but was still in pain...this person just had the same knee re-operated on today as the dr. goofed up when he did it. she had the same dr. do the operation again. (she kept complaining to the dr. for over 6 months about pain and he just shook it off saying that she needed to loose weight)...finally he decided to order an MRI and this showed that the replacement wasn't done right. i can't believe she had the same dr. do the surgery again and she will be billed for it again also. i guess you have to decide what is best for you. I was diagnosed with moderate arthritis in my left knee, and have just been in agony for the past four or five months. I can barely walk. The doctor prescribed physical therapy, which I have been doing for about a week. I am not noticing any difference. Has anyone else ever had PT, and if so, did it help? I"m wondering whether I should go back and ask for an MRI to see if there is anything else going on in there. Also, has anyone tried the cortisone shots? Thanks for the help! I am trying to find a job, so I need to be able to walk into an interview. this cold weather and walking in the snow and sliding around doesn't help much on the knees. a cold, but snow free Saturday and early Sunday. then the snow is supposed to happen sometime in the afternoon on Sunday. Spending time in the sauna after a workout loosens up my muscles and tendons, helping me heal better between sessions. It really helps. I still need both Arthritis strength acetaminophen (Tylenol) and Tramadol to work out or sleep. Exercise is my key. My number one preferred is swimming, but the chlorine in the pool makes my skin a little itchy so I limit swimming to 2-3 days a week. I am also doing low impact aerobic exercise. I had to build up to that and I am cautious about what I do. I have had to learn to listen to my body. I get sore and sometimes take some over the counter pain meds. Suggestion: get your worse area of arthritis check by a doctor, otherwise try to move. I also have a program, not just one thing I do. I try to eat healthy, exercise, rest, and find time to feed my spirit. Exercise everyday, even a little is helping me. I can't take aspirin or ibuprofen which is a problem I'm allergic to those pain relievers with anti inflammatories. I take Turmeric everyday. It has curcumin which helps to reduce swelling. I have a mixture of spice with 2 parts Turmeric, 1: ginger and 1: cinnamon with some black pepper and I have 1 tsp in coffee, milk, or my soy shake everyday. I used aspirin therapy, which was the least offensive of all the treatments back in 1985. Today they prefer I use Motrin. I find the best way is to try and minimize the effects of stress. I use exercise and think I am going to add meditation. I am currently in Physical Therapy for my knee and she told me that regular exercise actually helps to increase the joint lubricant which can help to reduce pain. I also have become very protective of my weekends. I use them to rest up so I can start the workweek as fresh as possible. On nights when I'm feeling joint pain I find that two extra strength tylenol help better than one motrin. Hope some of this is helpful. i hope we all can help each other on how to manage some of our arthritis and to be able to move more and trying what works for others. WOW!! i never thought of stress making my arthritis worse...but looking back i can see that on some very stressful days i was in more pain. i guess i never thought of stress as i live with stress daily in my personal life. do you do anything to help ease the pain when you are having so much stress? The biggest trigger for me is stress. I can identify every major flair to something stressful in my life. Stretching. Stretching is wonderful, especially after you're stationary for a little while.Keep those joints moving and lubricated folks. JANNY316...one of the ladies that helped me last spring her husband has RA and he is taking some type of med. and watches his diet and he seems to be doing well with what he does. check around SP there are some recipes that might help. yes, i find soaking in a warm bath helps me. LDYSABELLA...i agree with you...if i stay in one position too long i get stiff...when i work for DH in the spring grading seedlings i stand in one spot i even have problems on trying to bend my knees if i stand way to long. i agree with everyone one on their what helps with good ole Arthur. i always say i would like to take Arthur out and shoot him and everyone would look at me and wonder who is Arthur...then i will say "itis". just think what we could do if there was no Arthritis? have a good Tuesday and hopefully pain free and if not pain free hopefully less pain. Winter is hard on me since I have RA. I am very interested in looking into my diet. I see that many people alleviate pain and stiffness by changing how they eat. I find soaking with epsom salts is very helpful and heating pads. Cold weather really kills me. I also have big problems if I stay still for too long; whether I'm sitting, standing, or laying down. Having a seat warmer in my car, even on warm days is a blessing. I should probably a heating pad for home. Physical therapy and moist heat on the joints help me. Not exercising and not doing PT is the worst for me. Cold weather has a huge impact on me as does sugar & processed foods. Heat makes it feel better or going to the gym getting in warm water pool followed by heat of the whirlpool. Healthy eating is also important. Cold weather, work stress, and too much processed food all make my arthritis worse. When I eat primarily fruits and vegetables I can go nearly 2 weeks without taking my Enbrel. When I eat poorly I need to take it every 5 - 6 days. I really need to make the commitment to eating better so I don't have to shoot that poison into my leg all the time. Good food = less pain. REALLY COLD WEATHER MAKES THE PAIN WORSE. MOTRIN AND HEAT MAKES IT FEEL BETTER. i have noticed some days i hurt more than others and then i noticed when the weather is up and down in temps and humidity, can cause me more pain. there are days i can hardly walk. then there are days i hardly have any pain. 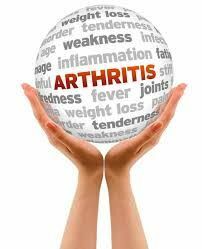 what have you noticed affects your arthritis?